The Kumfi Kombi half-check collar offers extra control with a snap fastener and I.D. ring holder. 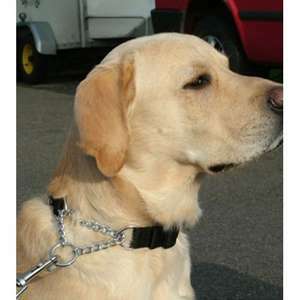 The collar was designed by George Grayson, Chairman of the Dog Training Industry Association, UK. The snap fastener allows you to fit the collar quickly and easily and the I.D. ring holder may be used to convert the collar into a standard non-choke collar. The collar checks (stops) without chocking and the jingle of the chain acts as an attentive command. 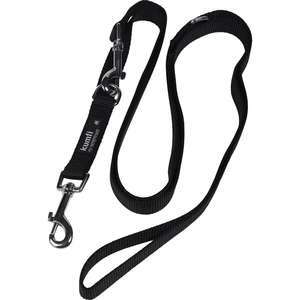 Can be used with the Control Head Collar to help prevent pulling or for controlling problem dogs. 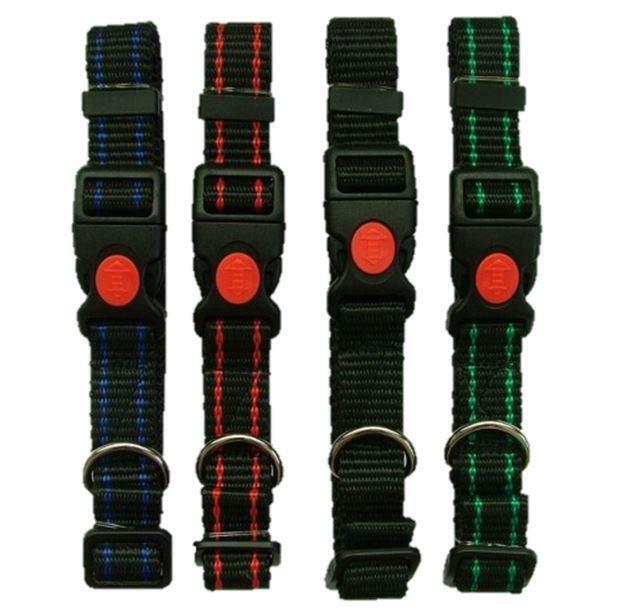 The snap fastener allows the collar to be adjusted to the neck size of the dog and is extremely beneficial for dogs/puppies when they are young and when their neck sizes are smaller than the head size. 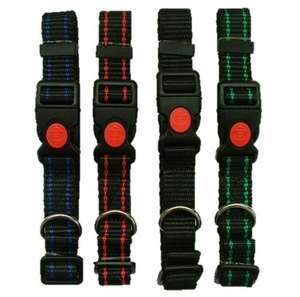 The collars are safer and much easier to fit, maintain, adjust and remove. The LOCK feature on this collar provides extra safety and prevents accidental opening. 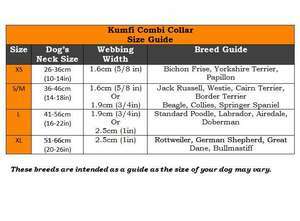 These Kumfi Collars are available in a range of neck sizes and webbing widths. 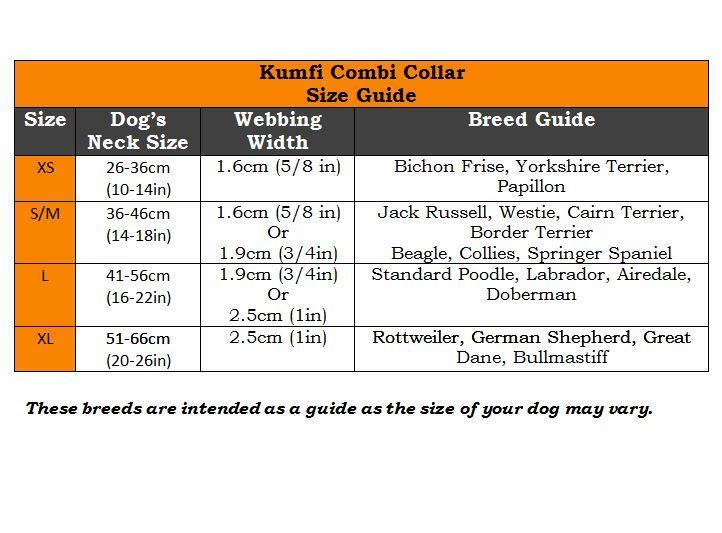 Please check our size guide in images to ensure a comfortable fit.